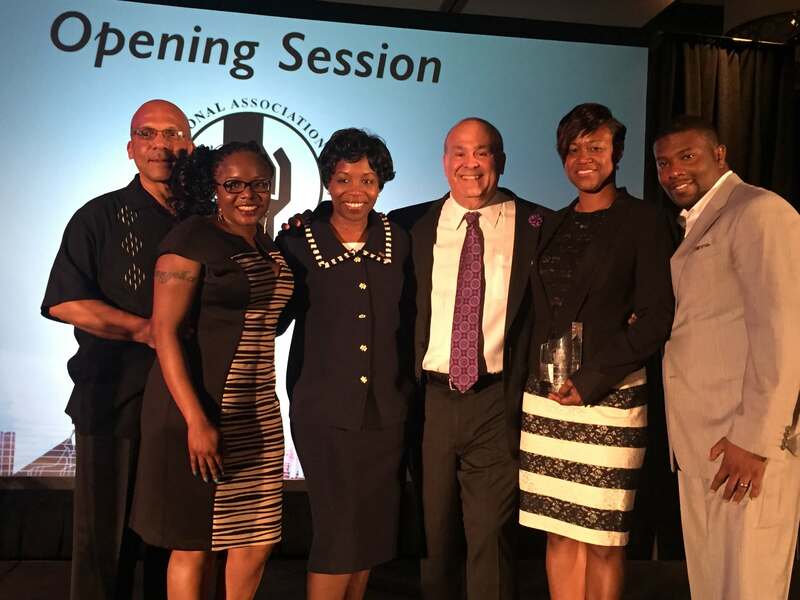 This past week I had the honor of keynoting the national convention of the National Association of Black Accountants in Las Vegas. It was even more special when MACPA member Tysheba Morgan, CPA, CIA, MBA, won the award for NABA Chapter President of the Year for her work with the Baltimore Chapter. Tysheba is a Senior Manager in Accounting at Exelon Corporation’s Commercial Businesses in Baltimore. Pictured after receiving her award is Tysheba (second from right) next to NABA Vice Chairman, Steven Harris (far right). Left to right are more MACPA members, Tony King, Tanyeka Aelxander, Kimberly Ellison-Taylor (Vice-Chair elect of the AICPA and past-chair of MACPA) and yours truly. The subject of the NABA Conference was “Bridging the Generation Gap” and that was the subject of my keynote (see preso below). I am declaring 2015 the year we end this generational conflict and start working together. In fact I believe that true inclusion of our people and collaboration can bridge this divide and amplify the strengths that all generations and all of us can bring to the table. I was there with a team of our “top gun” instructors from our Business Learning Institute providing a track of “success skills”. As serendipity would have it, I got to connect with lots of new friends and reconnect with many old friends and colleagues. Steven Harris was a graduate of the first AICPA Leadership Academy we (BLI) ran. Tony King is on the nominations committee of the AICPA that nominated Kimberly. Tanyekas was involved with us a student member and now graduated and in the work world. And then there is Kimberly who became active as a founding member of our New Young Professionals Network (NYPN), onto become Chair of MACPA and now on her way to become Chair of the American Institute of CPAs. Speaking of generations, our U of MD Accounting students placed second in the KPMG Case Study Competition under the leadership of professor Dr. Jim McKinney, CPA (MACPA’s official historian). #goterps! In addition to 2015 being the year we end this generational conflict, it is also the year to hug our Gen Xers, the linchpin generation! Congratulations Tysheba on a well deserved award!